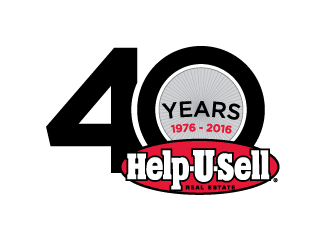 Help-U-Sell Real Estate celebrates its 40th anniversary with a commemorative logo. If you aren’t a fan of ours on Facebook yet, you may not be aware that we’re celebrating our 40th anniversary this year. Time flies when you’re saving people money! 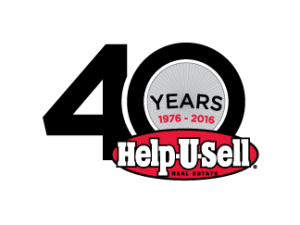 Don Taylor founded Help-U-Sell Real Estate in 1976 as a consumer-friendly alternative to the high percentage-based commissions most other real estate agents charged. He believed a low set fee, information without obligation, and freedom of choice were the wave of the future. Four decades and thousands of happy clients later, and we’re still helping sellers (and buyers) across the country! This is one of four new website banners. To commemorate this milestone, we’ve created an anniversary logo and marketing collateral (with more to come), including website banners and a new postcard. The EDDM postcard will be available in the next co-op from our print vendor, Excel Printing and Mailing, on April 1. Brokers can access variations of the new logo and the website banners in the Office Management System’s Download Library. The postcard will be on Excel Printing & Mailing’s website soon. Update: Excel Printing & Mailing now has eight postcards of varying messages and sizes with the 40th anniversary logo. They have their own section on the site. Look for the “40-Year Materials” title to see the selections and customize your order. 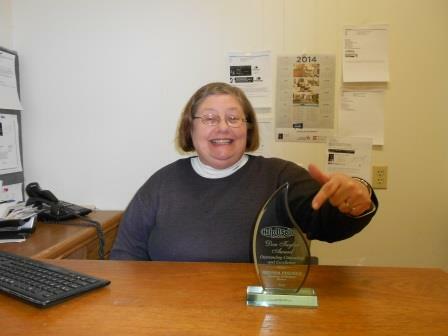 Brenda Fischer's Help-U-Sell Options Unlimited in Terre Haute, Indiana, closed eight sides in February. It was a short month, but that didn’t slow down our offices from helping many buyers and sellers with their real estate transactions. 1) Help-U-Sell Honolulu Properties took the top spot again with 11 closed sides: one buyer side, four seller sides, and three dual-sided transactions. Among these transactions were three $1 million-plus sales, which saved their clients tens of thousands of dollars each! 2) Terre Haute, Indiana-based Help-U-Sell Options Unlimited had eight closed sides, consisting of one buyer side, three seller sides, and two dual-sided transactions. 2) Tied for second place, Alabama’s Help-U-Sell Quad Cities Realty had one buyer side, three seller sides, and two dual-sided transactions. 3) Help-U-Sell Metropolitan, serving the greater Detroit area, finished in third place with seven closed sides: six buyer sides and one seller side. Congratulations to all of our top offices for February! 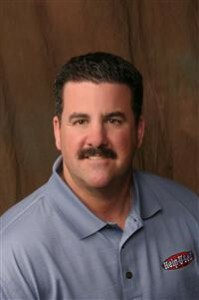 Tom Nunes, broker/owner of Help-U-Sell Sunrise, and his team in Sacramento, closed six sides in January. With the snowy weather in the east and the post-holiday blues, our offices eased into the new year. Nevertheless, two offices sold million-dollar properties, and everyone helped their sellers save thousands on commissions. 1) Back on top, Help-U-Sell Honolulu Properties completed the first month of the year with nine closed sides, five buyer sides, two seller sides, and one dual-sided transaction. 2) Arizona’s Help-U-Sell Central Properties tied for second place with two buyer sides and four seller sides, for a total of six. 2) Help-U-Sell Metropolitan, located in the Detroit area, did a reverse of Central Properties, with four buyer sides and two seller sides. 2) Help-U-Sell Quad Cities, in Florence, Alabama, closed two buyer sides, two seller sides, and one dual-sided transaction. 2) Sacramento-based Help-U-Sell Sunrise finished January with two buyer sides and four seller sides. 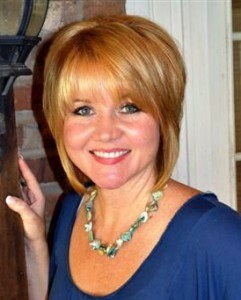 Congratulations also go to Help-U-Sell Home Advisors and Help-U-Sell Westside Realty. They helped their clients sell properties for $1 million or more. Tracy Jacobs, Broker/Owner of Help-U-Sell Quad Cities Realty, and her team closed 13 sides in December. Our top offices for December ended the year with a bang! They averaged 12 closed sides each as the calendar dwindled to one page. 1) Help-U-Sell Triad Realty wrapped up the month with 15 closed sides: five buyer sides, four seller sides, and three dual-sided transactions. 2) Alabama’s Help-U-Sell Quad Cities Realty scored a lucky 13 closed sides with two buyer sides, seven seller sides, and two dual-sided transactions. 3) In a tie for third place, Help-U-Sell Federal City Realty, out of Washington, D.C., closed 12 sides, consisting of six buyer sides, four seller sides, and one dual-sided transaction. 3) Oregon-based Help-U-Sell Select Real Estate completed three buyer sides, four seller sides, and and two dual-sided transactions for a total of a dozen closed sides. 4) Help-U-Sell Buy Today, in Charlotte, helped seven buyers and four sellers to finish December with 11 closed sides. 4) Help-U-Sell Honolulu Properties also had 11 closed sides, made up of one buyer side and 10 seller sides. Two of those sales were for properties worth more than $1 million. The sellers saved tens of thousands of dollars in commission. 5) Rounding out the list, Help-U-Sell Metropolitan‘s 10 closed sides were six buyer sides and four seller sides. Congratulations to everyone! We look forward to seeing what you accomplish in 2016! The new Help-U-Sell Real Estate broker websites' homepage will feature video, so creating your own videos is on our list of top marketing ideas for 2016. The first full week of the year is usually focused on catching up from the holidays, but the 51 weeks ahead should get some attention, too. What are your marketing plans for 2016? We have outlined five ideas to get you started. 1. Website Content. The new Help-U-Sell Real Estate broker website template will debut shortly. The new site is responsive, meaning it adapts to the size of the user’s device screen whether it’s a desktop computer, a tablet, or a smartphone. We have created new pages for the broker sites that will replace the outdated, text-heavy pages on most of our brokers’ sites now. We encourage brokers to localize the new pages’ content and to consider making landing pages on other topics that fit their market and their expertise. Ask yourself: Whom do you want to attract to your website and, ultimately, as your clients? We can help you with the creation of any pages you might want to add to your broker site. 2. Video. The new website template prominently features video, on the homepage and on many of the new landing pages. These videos are narrated by James Dingman and can be used in your marketing, as well, but we strongly suggest filming your own videos that can replace the landing page videos and the ones on the homepage. The personal touch means a great deal in this day of social media, where consumers want to get to know people before they conduct business. 3. Social Media. Speaking of social media, do you post consistently to your accounts? Take stock of your social media profiles (update any contact information, photos, etc.) and make an editorial calendar with what to post when. Think about adding new networks, such as Instagram or Periscope, to the mix, or removing ones that you never use. Also, you might want to advertise on these platforms, especially Facebook. You can target specific audiences based on place of residence (down to zip code), age, income level, and other factors for a low cost. 4. Co-Op/EDDMs. Print marketing isn’t dead, it just needs to be highly targeted to make the most impact. Our print/mail vendor, Excel Printing and Mailing, is running a co-op through January 15 on EDDMs (the U.S. Postal Service’s Every Door Direct Mail program), where you can print and mail customized postcards for only $0.29 each. The mailings go to the post office’s carrier routes that you select. We recommend doing research using your MLS to discover the carrier routes in your market that have the highest turnover rates. Read more about how to do this on James Dingman’s Set Fee Real Estate Blog (see the Target Your Market post). 5. Center of Influence Postcards. If you didn’t participate last year, or even if you did, the CI postcard program is a must for staying top of mind with your colleagues, past clients, friends, acquaintances, et al…anyone who knows you. This year, we’ve expanded from eight to 10 postcard mailings for the year. Excel Printing and Mailing handles the logistics of the program, and you can opt in and customize your postcards via your OMS. Read more about the CI postcards. With a focus on marketing in the right places, you can make 2016 your best year yet. If you’re a Help-U-Sell Real Estate broker and you want any guidance from the corporate office, send us an email. We’d be happy to help you!